It’s Friday and I’ve been ready for the weekend all week. But really, who hasn’t? So, while it may not be the weekend juuuuust yet, it doesn’t hurt to look forward to something. Now I’ve been a Los Angeles Dodgers fan my entire life. As some sports fans say, I bleed blue and white (no, I’m not steeling Penn State’s or Indianapolis’s line). If I were at home and had access to the thousands of pictures my family took to document their first child, I’d be able to include the one from my very first Dodger game – me smiling and gazing lovingly over our seats in the Ravine. Ok, get real – I was probably less than a year old so it was clutch to actually catch me smiling rather than bouncing all over the place. I probably was entranced by the camera contraption and sights and sounds of a ballpark. Nonetheless, I was there and the love for the boys in blue started about 21 years ago. Even as I moved north for school, I avoided jumping on the San Francisco Giant’s bandwagon. A true fan knows how to support his or her team through thick and thin. None of this, oh, they are winning so of COURSE I’ll purchase every piece of affiliated clothing possible. Here’s a throwback picture to high school (boy do we look young) and I was obsessed with my cross country sweatshirt. It’s been a blast to attend games throughout the years and see how the stadium changes. Thank goodness the McCourts are no longer in charge. There may be a few choice words we would like to share with him, but I digress. In anticipation for tonight’s game against the St. Louis Cardinals, I’ve compiled a few fun pictures and links for your morning and afternoon enjoyment. 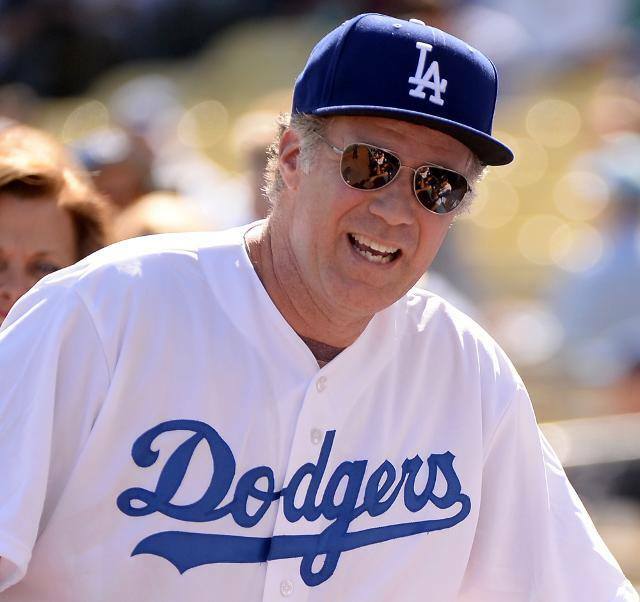 Will Ferrell announcing game 4’s lineup. When in Los Angeles, bring out as many celebs as possible. I mean, Magic Johnson is one of our owners. It’s just an known rule. 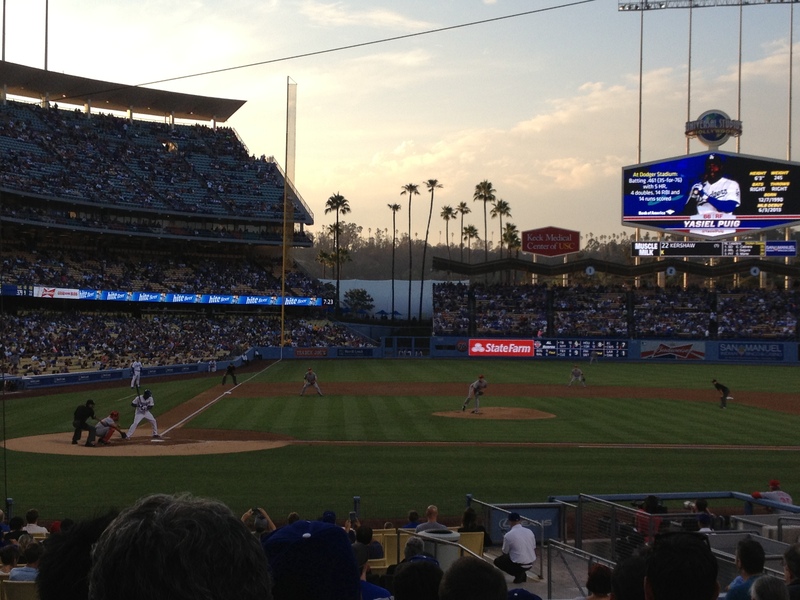 Flashback to when the Dodgers played at the Los Angeles Coliseum. Many not know this but when the Dodgers first moved out from Brooklyn, they spent their first four seasons splitting time with the USC Trojans and playing at the Coliseum. And if you really need to know why the Dodgers are so great (according to the only decent source) 😉 check out this article by Buzzfeed. “17 Reasons You Should Be Rooting for the L.A. Dodgers” – Because these creators can seemingly make a list about anything. 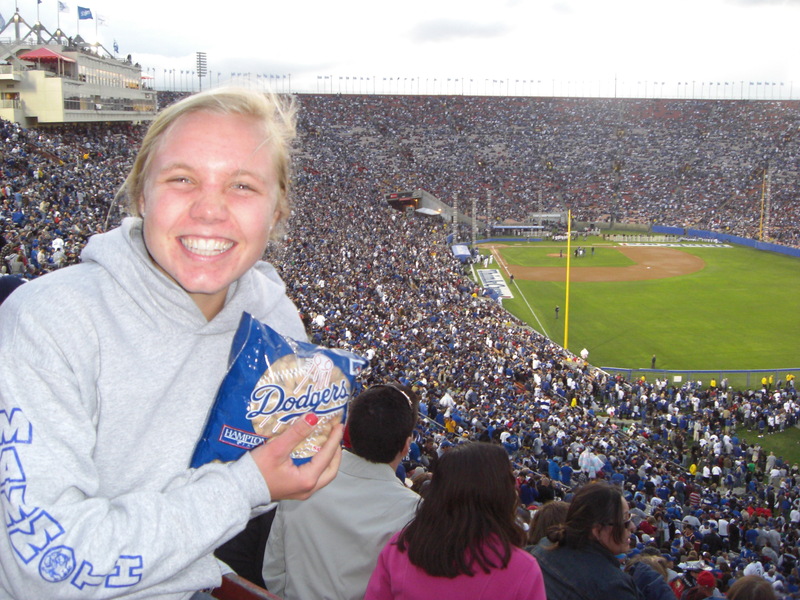 This entry was posted in Healthy Me and tagged baseball, Dodgers, los angeles, playoffs by Kaitlin. Bookmark the permalink. There’s nothing like a loyal fan!! Great blog! GO DODGERS!!! AWESOME post! 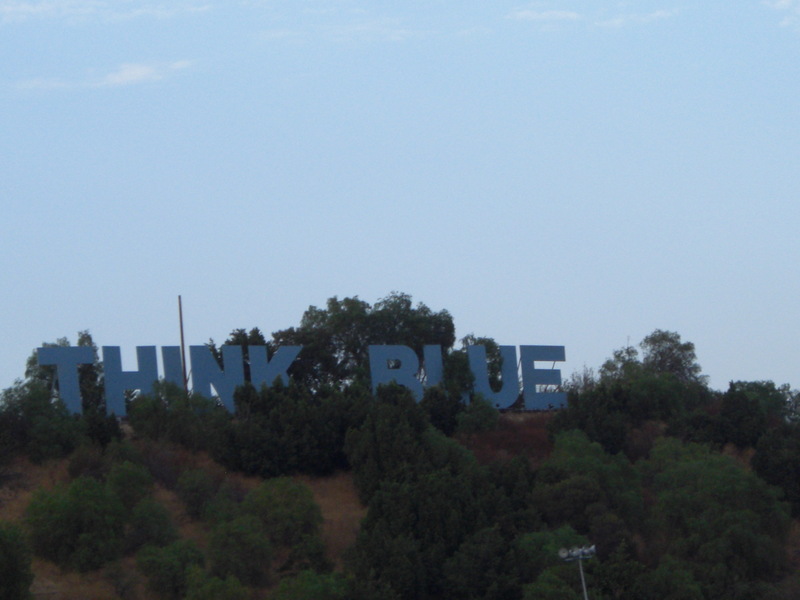 Go Dodgers. I think they will win with Kershaw tonight and then it is up to Game 7!